With the passage of the new Federal Highway Bill (FAST ACT), Congress mandated that the logistics industry identify a way to measure productivity at our ports around the country. 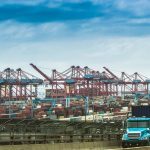 With each segment of the supply chain—labor, terminals, shipping lines—measuring productivity differently, this new mandate presented a significant challenge. Englander Knabe & Allen was retained by a group of terminals to lead an industry effort to determine what the metrics should be, which agency should measure them and how they should be reported. Achieving a consensus among a disparate group of industry members was not easy. Our tactics included outreach to elected officials (members of the House Transportation and Infrastructure Committee), several NGOs (National Retail Federation, Retail Industry Leaders Association, etc.) and importers (Home Depot, Target, etc.) to identify the top-ten productivity issues facing the supply chain and how those issues be measured. EKA then took the lead in reducing those issues to a written proposal; circulating it among stakeholders and advocating for a consensus position. EKA then determined that the DOT would be the proper agency to implement these measures and led the advocacy effort before the DOT in order to have the measures adopted. As a result of our efforts, the FAST ACT mandate on measuring port productivity is well on its way to implementation. In the process EKA was able to facilitate an industry-wide consensus on a matter previously viewed as too sensitive or controversial to find common ground.